There are various ways to smooth the skin with poor texture; Dermoabrasion is surely one of the most efficient ones. The results are comparable to those of a laser treatment, except for the contour of the eyes where this technique cannot be used. It produces excellent results, especially on fine wrinkles around the lips, or for treating acne wrinkles. It has some limitation of use related to type of skin and facial areas; you should discuss it with your doctor to decide what is best for you. 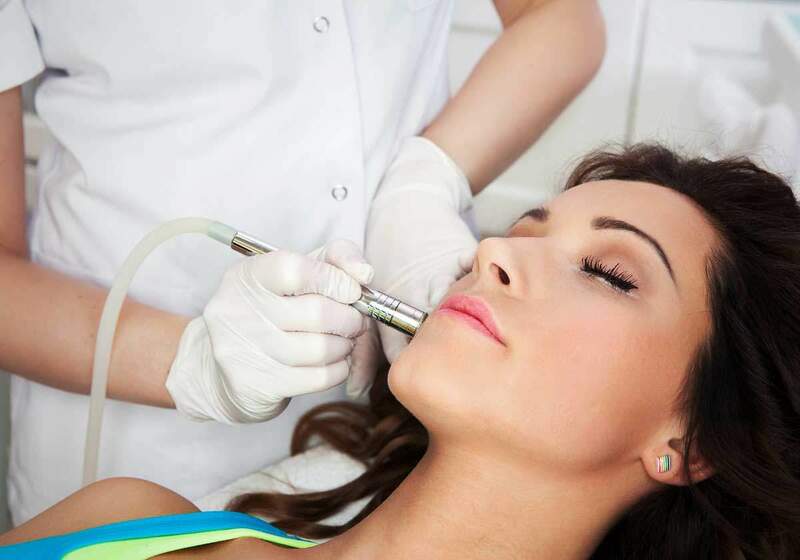 CIt is a mechanical abrasion of the skin carried out under local anesthetic or sedation. A special tip with diamonds powder peels off the superficial layers of the skin until it reaches the dermal layer to provoke a very mild bleeding. A coated swab is put over the treated area, at the end of the procedure. You will need few days to peel off the swab with the crusts. Some mild burning feeling can be calmed with the most common painkillers. After, your skin will be already smooth as you may expect but you have to protect it with a sun cream until the healing process is over. Recovery time is similar for time and evolution to laser.